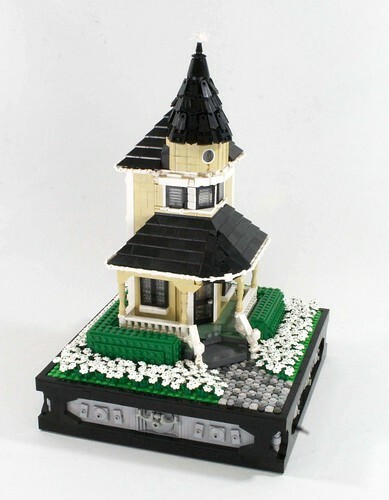 Brick Town Talk: That's a Skinny House - LEGO Town, Architecture, Building Tips, Inspiration Ideas, and more! Skinny but sweet. The way the porch wraps around the house and the turret design are top notch. I hope this gets expanded! It reminds me of the big old houses I see up here in Michigan from the lumber days. Unfortunately lego houses are very unrealistically sized. This is nice, but i'd like to see someone make a realistically size house or even a building out of lego. I agree, but this is indeed a great build.